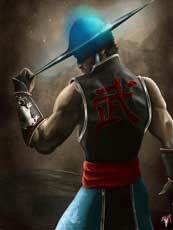 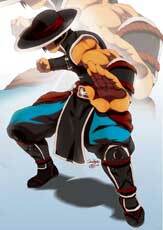 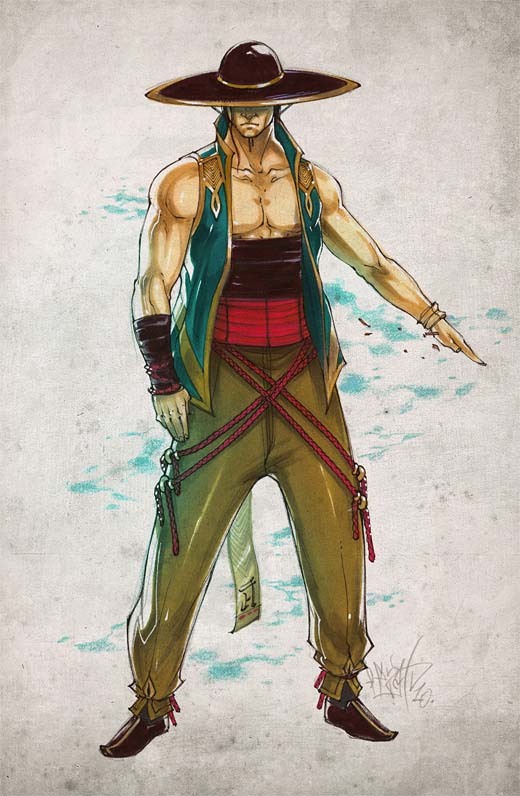 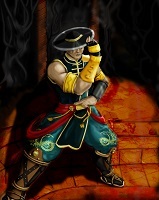 Kung Lao is one of the playable characters and protagonists in the Mortal Kombat fighting game series. 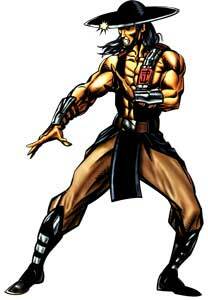 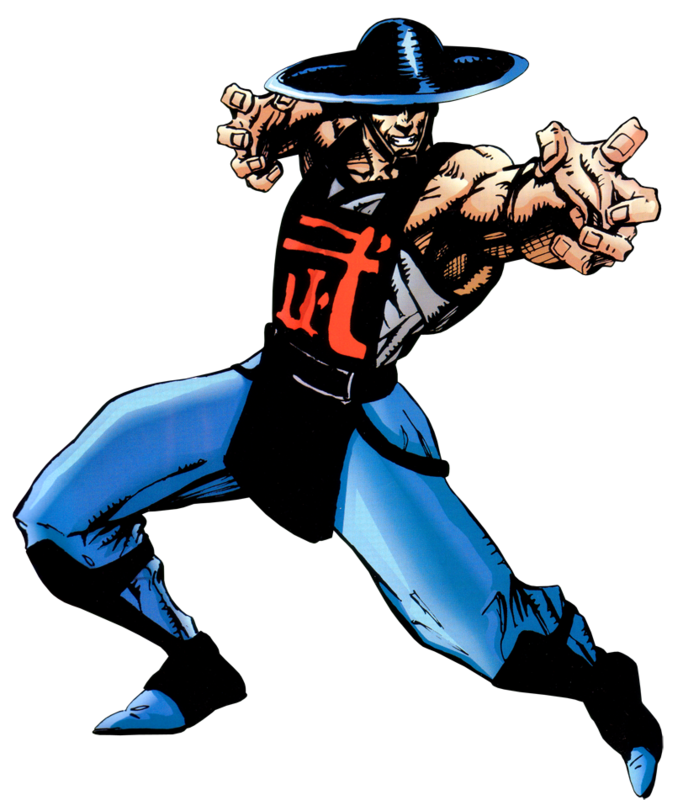 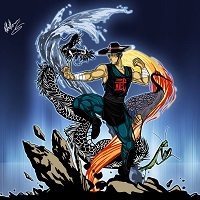 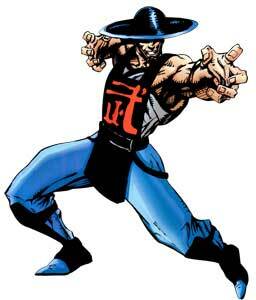 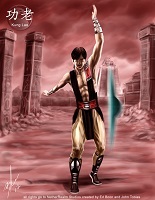 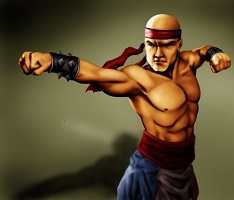 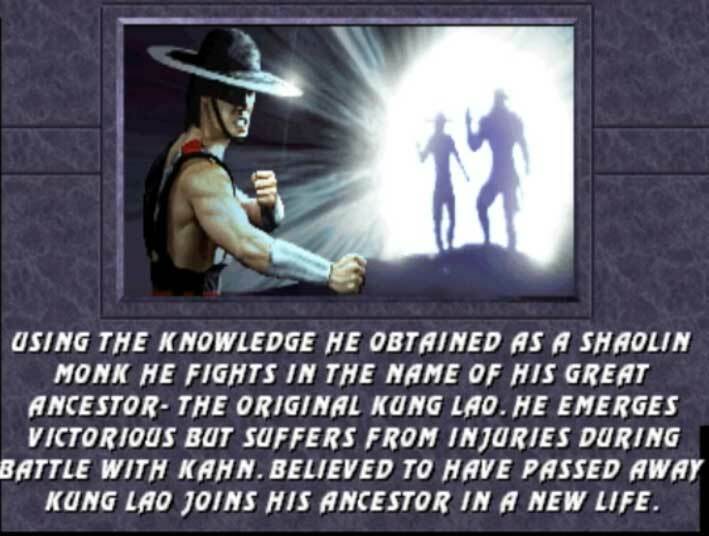 He debuted in Mortal Kombat II as a mysterious character which can throw his razor-rimmed Hat to attack his opponents. 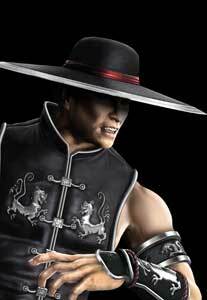 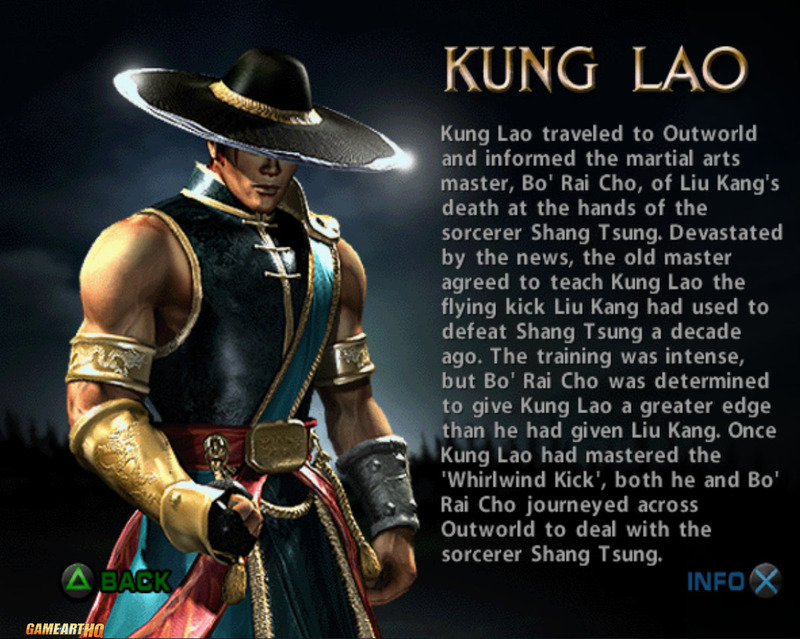 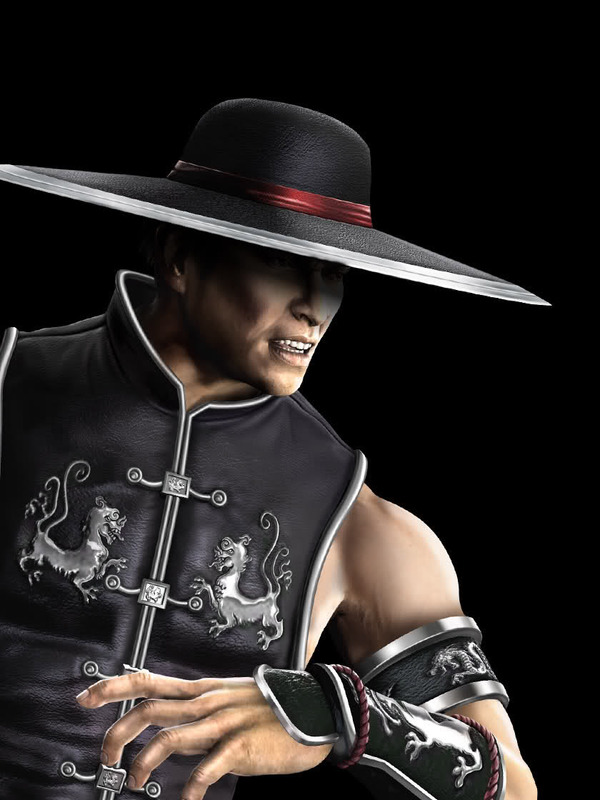 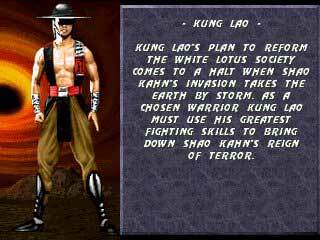 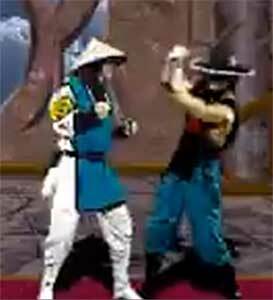 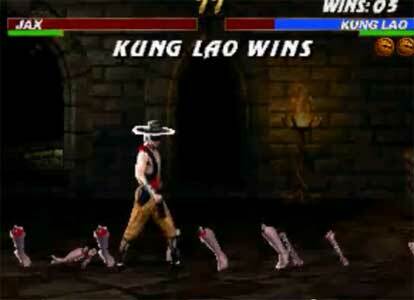 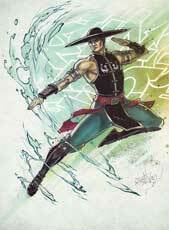 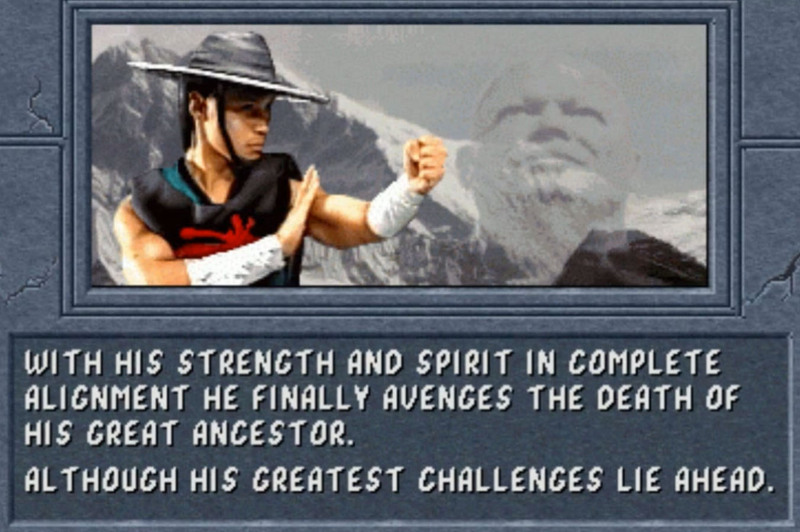 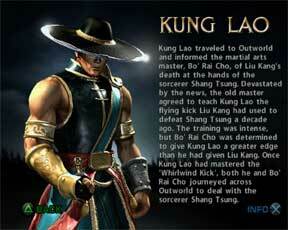 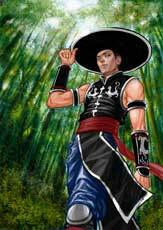 Kung Lao returned in almost all later Mortal Kombat games. 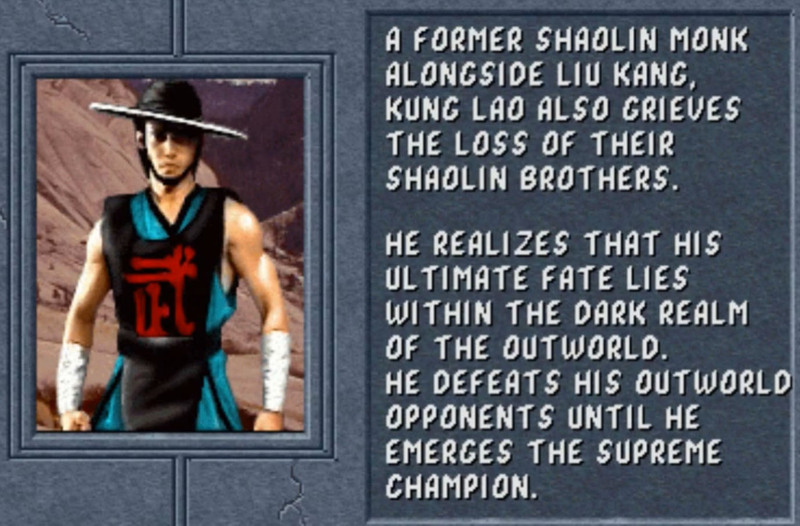 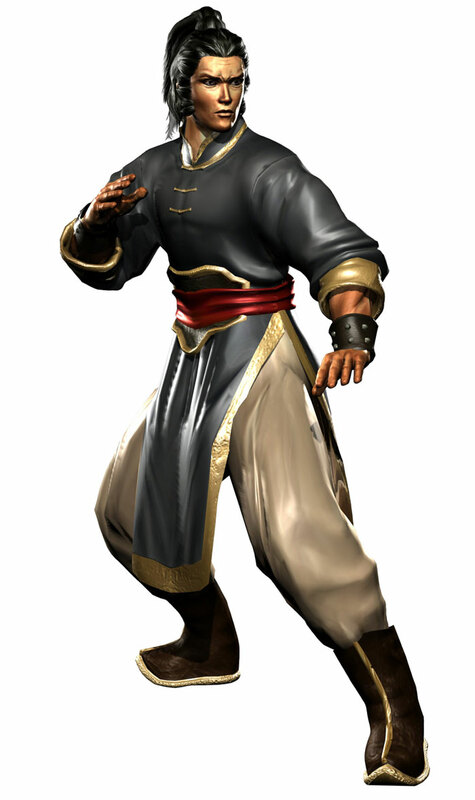 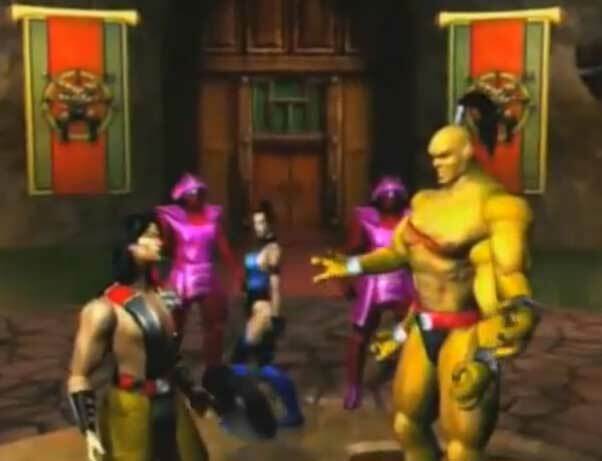 In Mortal Kombat 3 (1995) and Mortal Kombat 4 Gold (1999) he was almost like in MK II but he got a major redesign and also many new moves in Mortal Kombat: Deadly Alliance (2002) where he was the main protagonist after Liu Kang was killed. 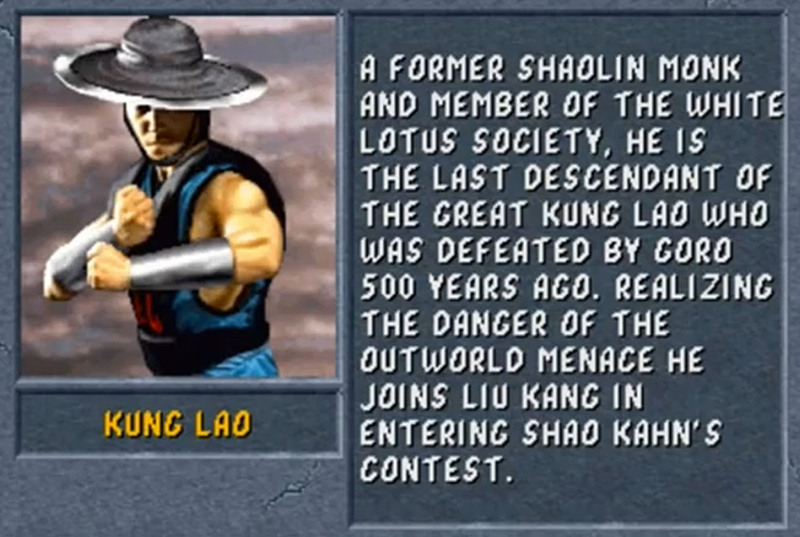 While he was not playable in Mortal Kombat. 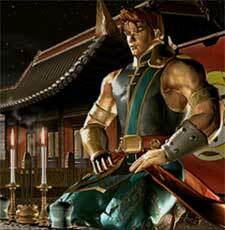 Deception (2004) he returned as one of the two main protagonists in Mortal Kombat: Shaolin Monks (2005). 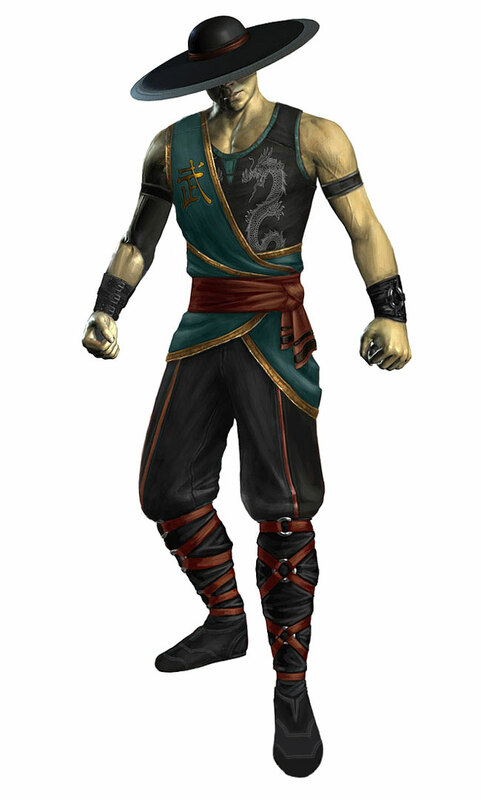 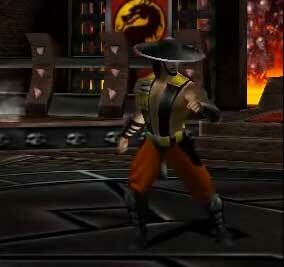 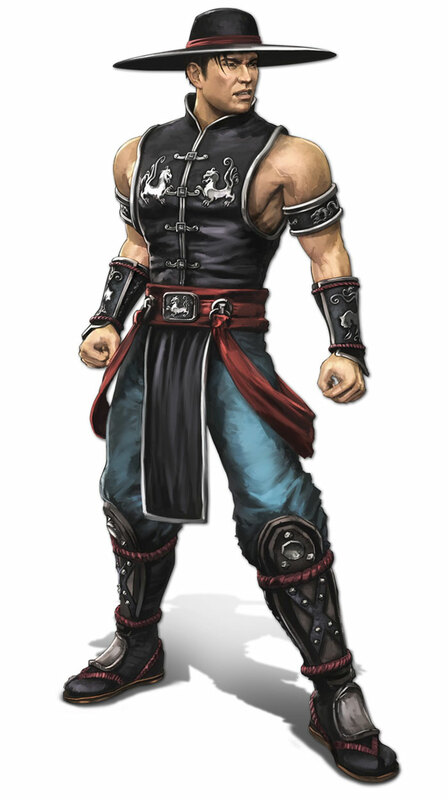 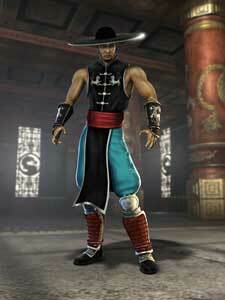 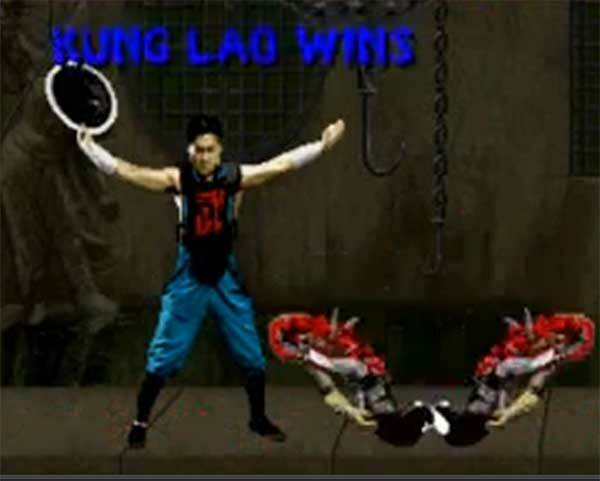 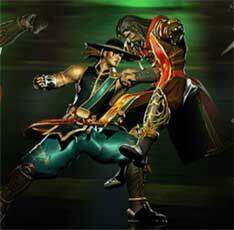 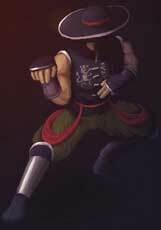 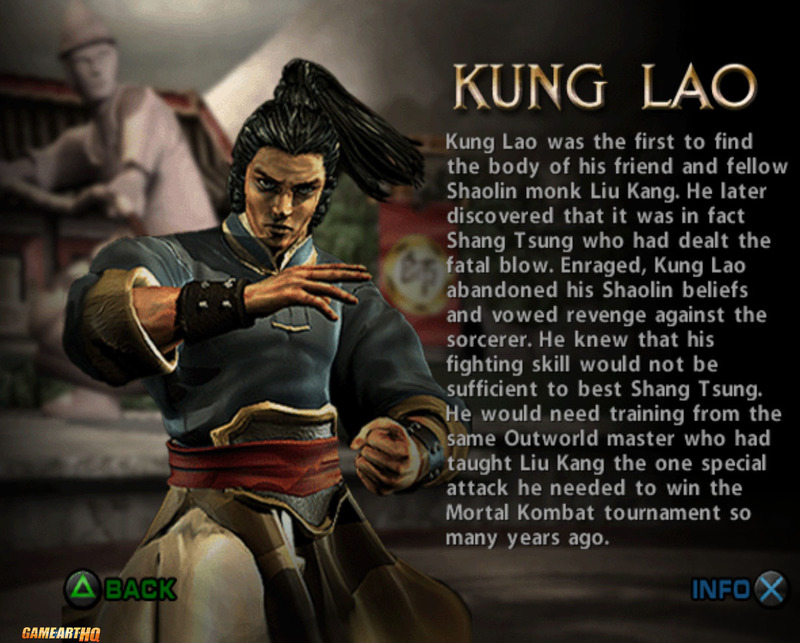 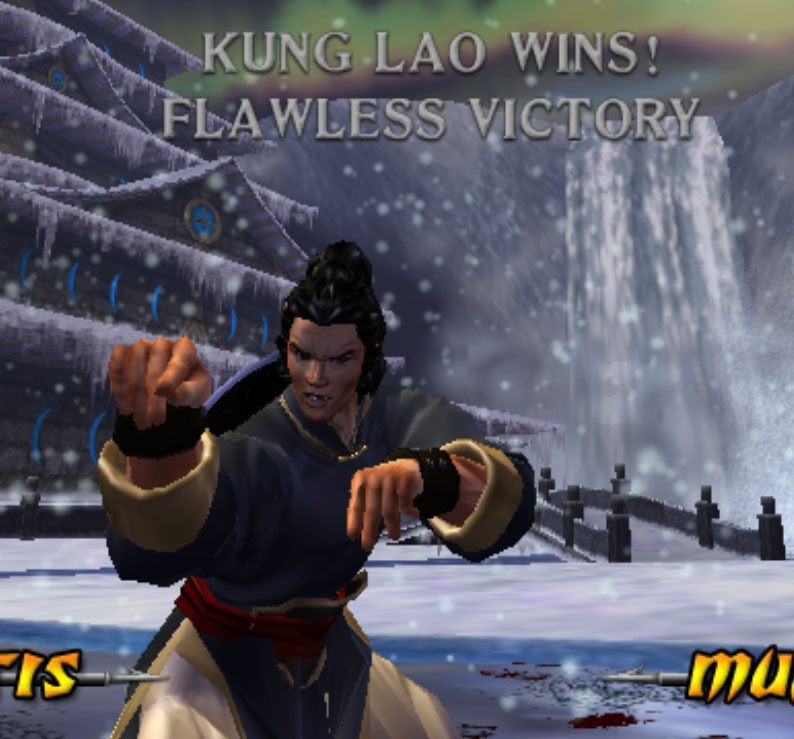 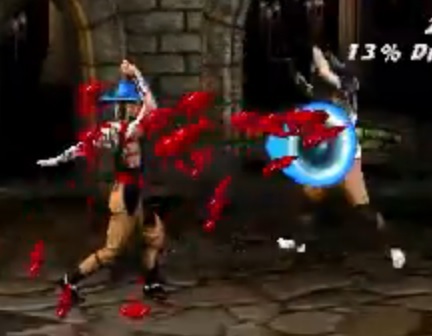 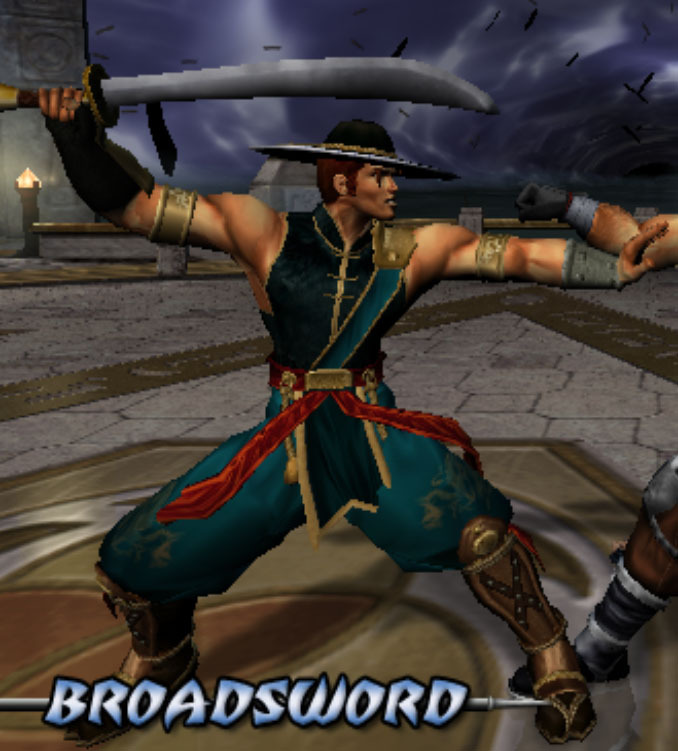 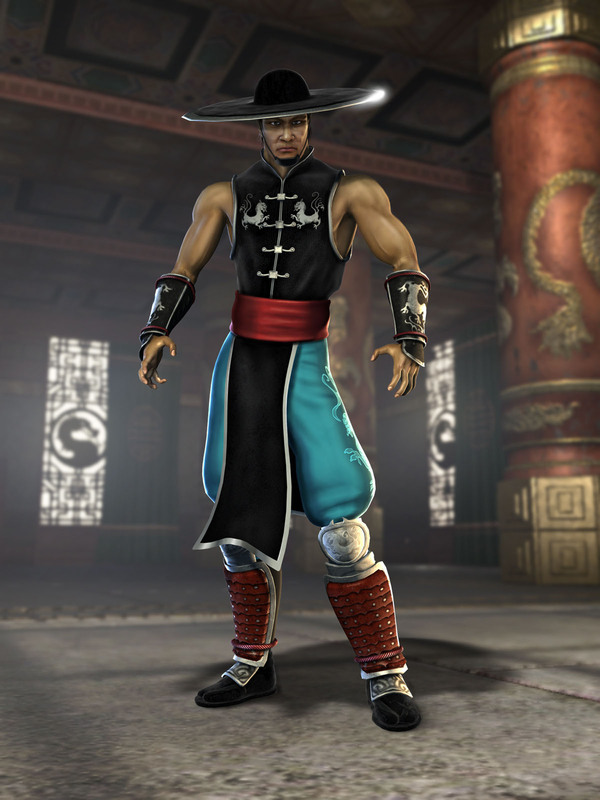 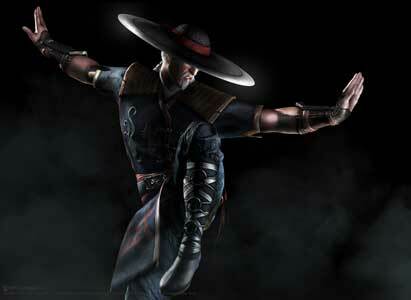 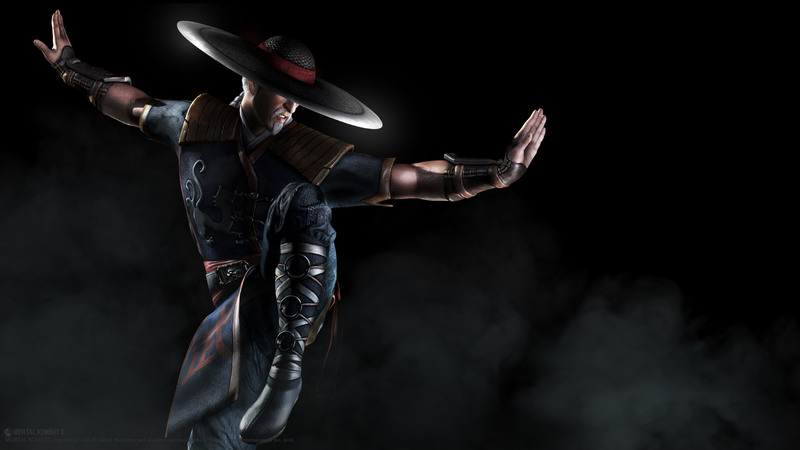 Like all MK characters, Kung Lao also returned in Mortal Kombat Armageddon in 2006. 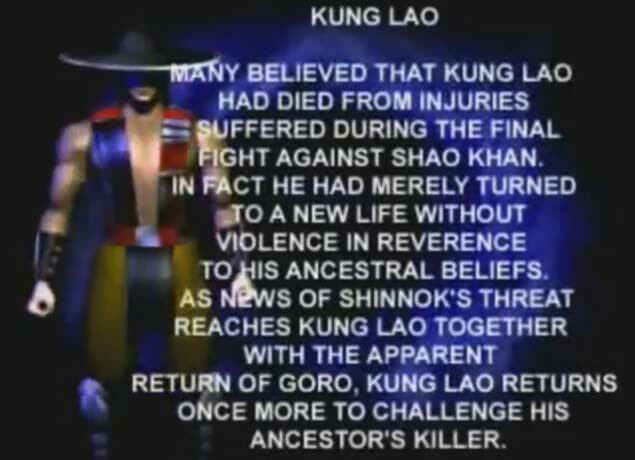 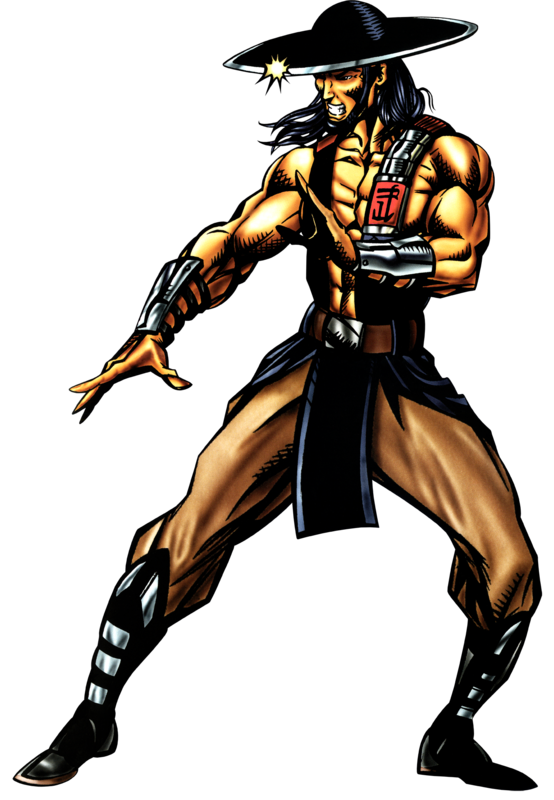 His latest playable appearance was in Mortal Kombat 9 where he played a big role in the story mode and was killed there by Shao Kahn. 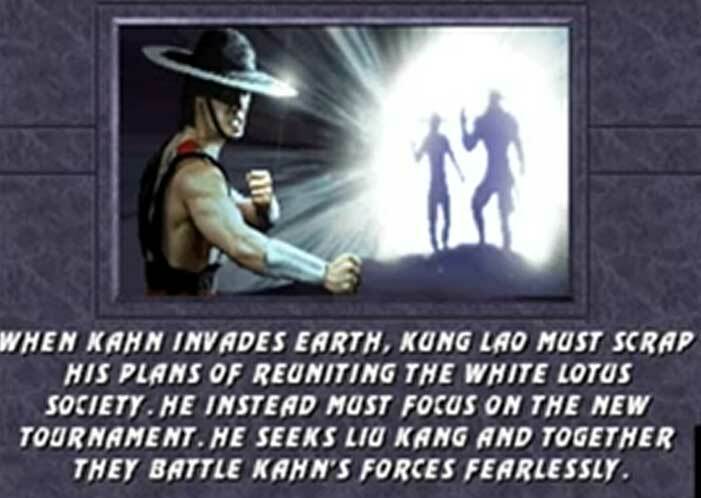 His visual design there was taken from MKSM. 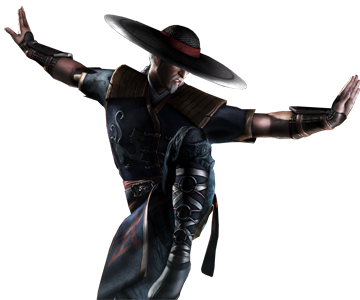 However, Kung Lao was revealed to return in Mortal Kombat X where he looks older and seems to have a lot new tricks under his hat. 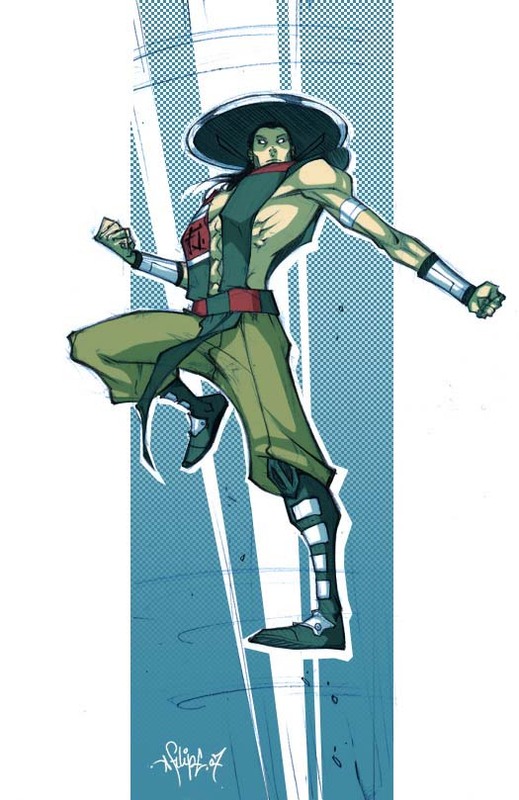 Kung Lao is a part of our big Mortal Kombat Tribute on Game-Art-HQ and was drawn in all his designs during Mortal Kombat 2-9. 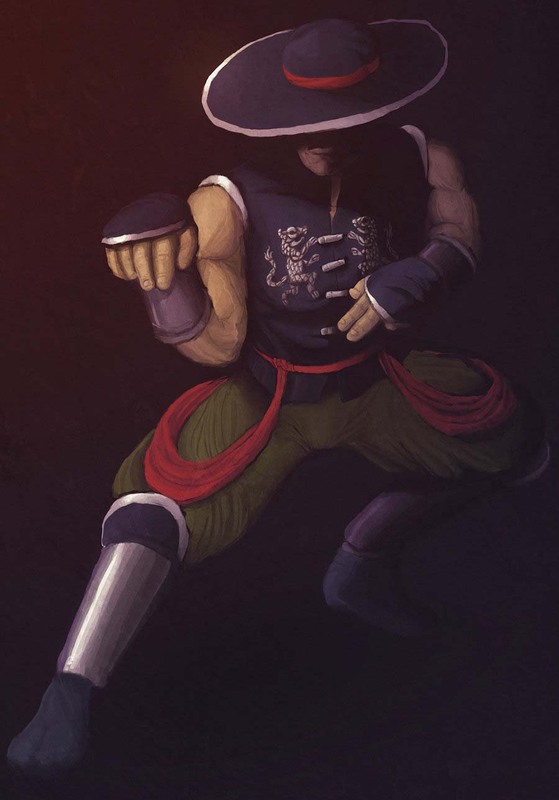 Mortal Kombat X Illustrations will most likely follow in summer 2015.